It follows the romantic journey and soul mating of two women caught in a web of forbidden love. Juliet (a conservative pre-school teacher) is a bride to be who befriends and hires Rome (a liberated businesswoman) as her wedding planner. 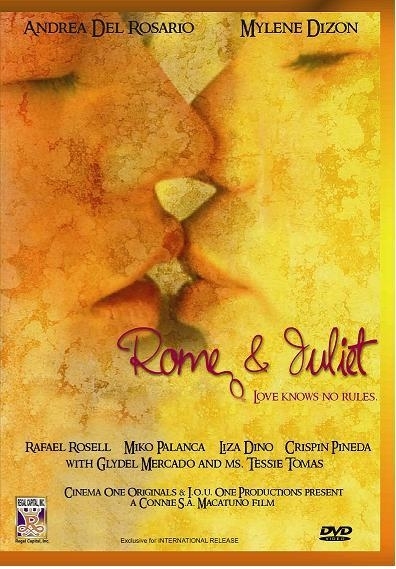 As they go through the preparations, Rome and Juliet develop a deep friendship, a soulful connection and a love that is physically consummated. But conflicts arise when Marc, the groom who is a young politician, shockingly discovers the ongoing relationship between the two women. Angered and humiliated, Marc calls off the wedding and a huge scandal explodes, leaving Rome and Juliet in a state of emotional turmoil. Not long after, Juliet is driven away from home by her mother, gets fired from work and later becomes a victim of a road mishap that puts her in a coma. But in the end, despite all the trials and hurdles Rome and Juliet's unconventional love for each other remains strong and intense.